Walter, a Wisconsin native, was a Burning Hills singer from 1993 through 1995, and has hosted the Medora Musical as the Queen of the West since 2010. An extremely accomplished vocal artist, Walter’s voice and stage presence have made her a fan-favorite in Medora for years. “Good fortune and a career in entertainment have taken me to some of the most beautiful places on earth,” Walter comments, “and yet, each time I near Medora, and Painted Canyon comes into view, it’s as if the heavens open up and the angels sing. 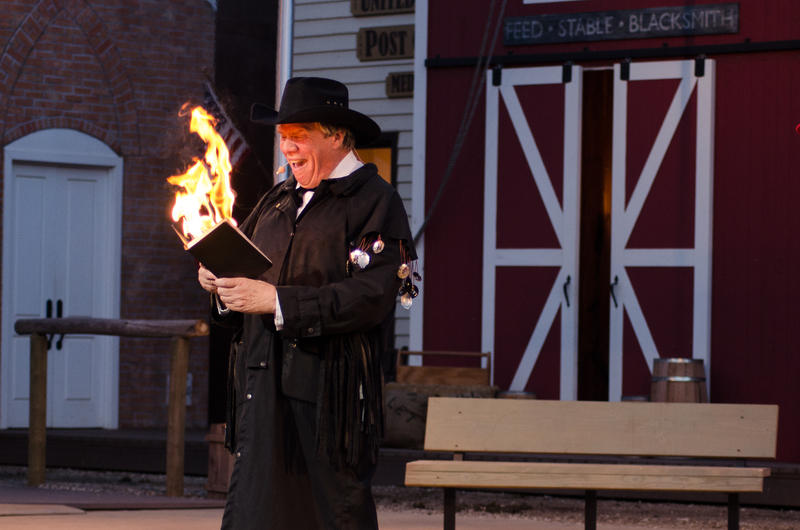 The 2014 Medora Musical shows every night, June 6 to September 6, at 7:30 p.m. MDT, in the 2,900-seat Burning Hills Amphitheatre. More information and tickets are available at Medora.com. Emily Walter, a native of Racine, Wisconsin, was a Burning Hills singer from 1993 through 1995. Walter’s performance during those seasons led her to being named one of a select few entertainers approved to portray the legendary Patsy Cline by the Patsy Cline estate. A veteran of the first Gulf War, Walter was the lead vocalist with the Air Force SAC Band, where she worked with such stars as Lee Greenwood, and legends Bob Hope and John Denver. Since receiving her Masters Degree in Fine Arts from Mankato State University in 1995, she has performed all around the world, on land and at sea, playing roles that have varied from Shakespeare to Annie Oakley. She will also be performing with the Bismarck Symphony Orchestra on May 17, prior to final preparations for the 2014 Medora Musical.